Intel’s direction for the high-end desktop space has taken an interesting turn. After several years of iterative updates, slowly increasing core counts and increasing IPC, we have gotten used to being at least one generation of microarchitecture behind the mainstream consumer processor families. There are many reasons for this, including enterprise requirements for long support platforms as well as enterprise update cycles. For 2017, Intel is steering the ship in a slightly different direction, and launching the latest microarchitecture on the HEDT platform. 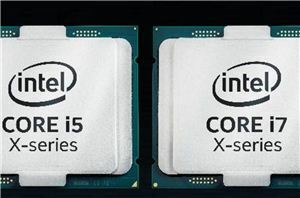 These CPUs don’t feature the high core counts of the other HEDT parts, but offer a higher point up the voltage/frequency scale to be the fastest single thread processors money can buy. They also overclock quite well.